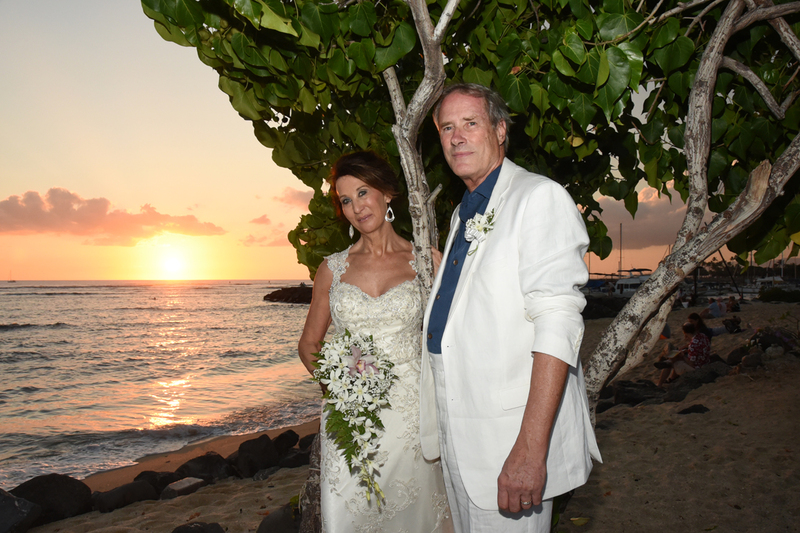 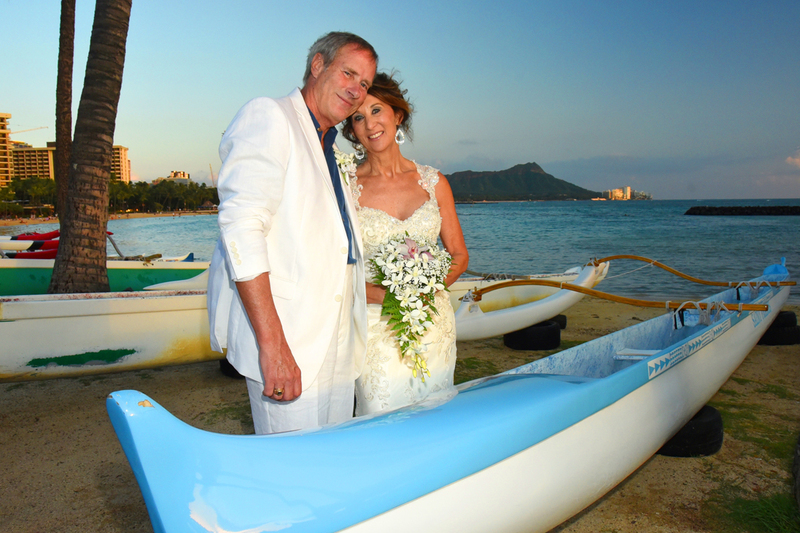 Frank & Michele have a Waikiki sunset wedding on the beach. 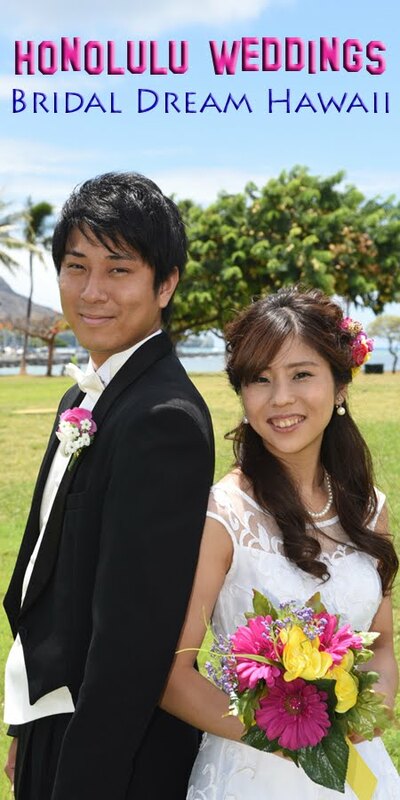 Wedding services in Honolulu by Bridal Dream Hawaii. Click wedding photo for higher resolution.